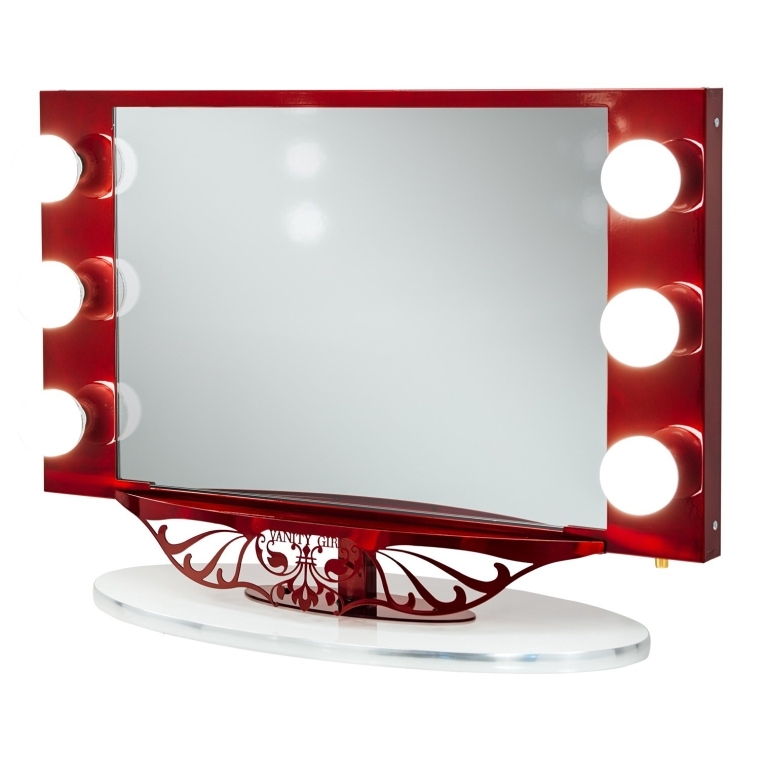 Functional and classy, this premium lighted vanity mirror is perfect for any standard makeup station. Available in several different color combinations and embossed with our signature logo, the Starlet Lighted Vanity Mirror is not only beautiful and tasteful, but functional too! Equipped with six globed, professional quality, dimming light bulbs, the 25″ x 18″ mirror offers enough soft, clean white light to illuminate skin tones and colors accurately, giving you control over every detail of your hair and makeup. This self-supporting lighted mirror system is ideal for discerning women and makeup artists who are set on creating a flawless look. Embrace your perfectionism with this glamour-inspiring table-top mirror.